By Rachel Slade·	 1/2/2018, 5:22 a.m. Some people summer in midcoast Maine; some people stay. 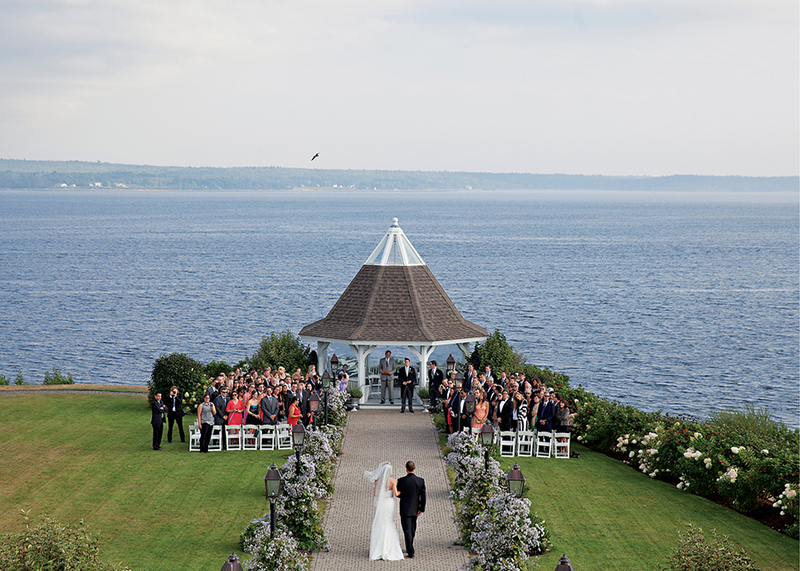 Still others choose to make the rugged beauty of the region—with its fragrant pines and cold, lobster-friendly waters—the centerpiece of their wedding day. 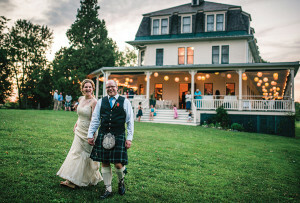 “Endowed with natural gifts, it’s simply the most ideal wedding locale,” says Beehive Creative Events founder Kristen Winters, who discovered Maine as a child and moved there permanently two decades ago. 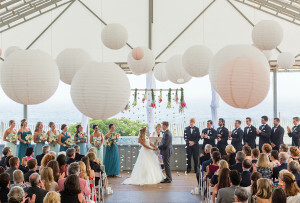 Nautically inclined brides and grooms are drawn to postcard-worthy Camden, where guests can gather under a tent on Camden Library’s grassy amphitheater to watch as the happy couple make their way across the harbor aboard Camden Yacht Club’s wooden skiff, the Ambassador. Post-ceremony, the wedding party ambles through charming downtown to the clubhouse overlooking the harbor for dinner and dancing. Far away from the summer hustle and bustle, the estate and grounds of historical French’s Point offer complete privacy from a perch on stunning Penobscot Bay. The 8-acre property features a 12-bedroom farmhouse for friends and family, as well as suites in the Mission-style main house, built in 1885, for the couple of honor. 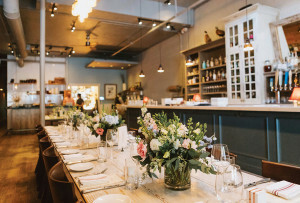 If food is your primary focus, then the barn at Primo, a James Beard Award–winning restaurant in Rockland, is your spot. Chef Melissa Kelly creates custom menus drawing from local flora and fauna, including greens grown on Primo’s own farm. 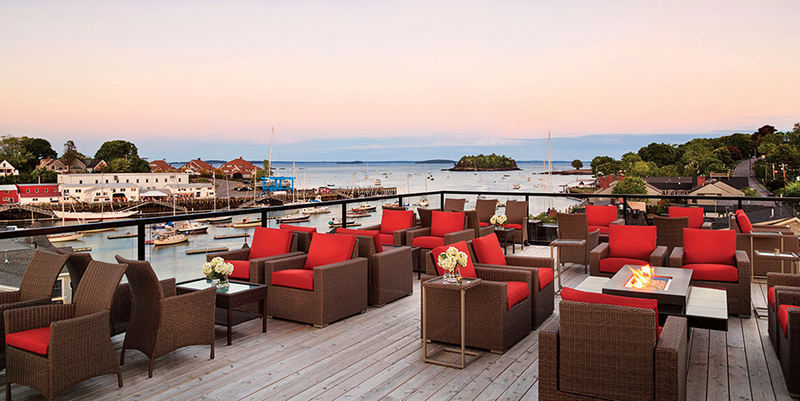 The experience is the embodiment of rustic meets refined, much like midcoast Maine itself. 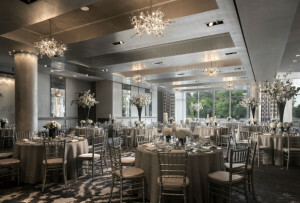 The Bay View Collection offers three luxurious Camden properties that can be booked as a block to accommodate your guests: the Lord Camden Inn, 16 Bay View, and the brand-new Grand Harbor Inn. All offer a gratis breakfast and killer harbor views. Sailing is the best way to explore the region’s tiny inlets, private harbors, and remote islands, especially aboard the 100-year-old Surprise, a 57-foot wooden schooner listed on the National Register of Historic Places. 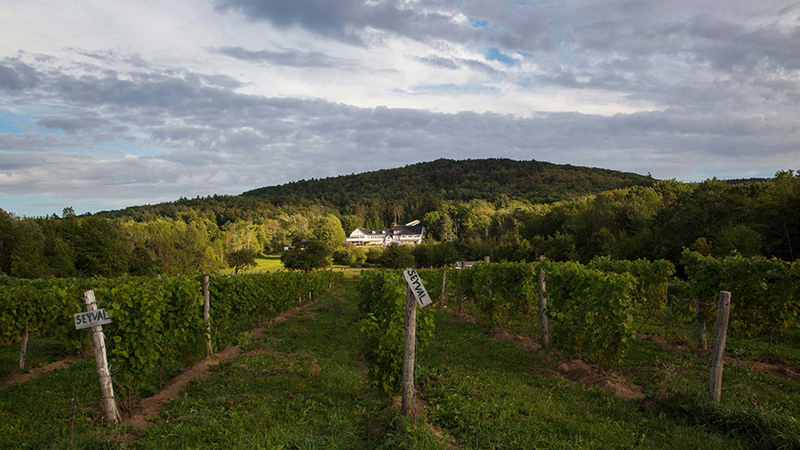 Travel north from Camden to Cellar Door Winery in Lincolnville, where your bridal party can sample wines—complemented by dinner from a caterer of your choice—in a modern, loftlike event space with incomparable views of the surrounding mountains. Worried about the carbon footprint of those imported blooms? Give Knox-based Belladonna Floral a call. 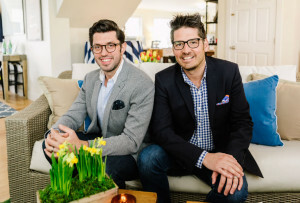 The sumptuous arrangements from proprietors Adrienne Lee and Ashley Savage are sourced from a local horse-powered farm using organic methods. The Pine Tree State produces the sweetest crustaceans—and the sweetest wedding favors. Charm your guests with their own miniature lobster-buoy keepsake, handmade by Beth Doan, a.k.a. the Maine Wedding Artist. 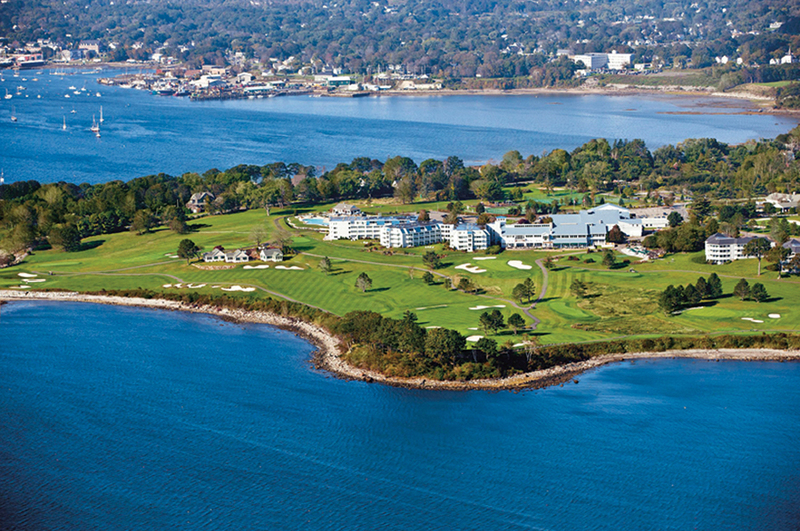 The grande dame of Maine getaways, Samoset Resort is a one-stop shop for luxury digs at the water’s edge. With plush amenities including a health club and spa and an 18-hole golf course, you may never want to leave—but those who do will be rewarded with top-notch coastal cuisine, stellar art, and plenty of adventure. Burn off that extra slice of wedding cake with help from Atlantic Climbing School (motto: “Anyone can climb”), which leads guided technical jaunts up Maiden’s Cliff, an exposed rock face in Camden above majestic Megunticook Lake. Unwind with a gallery tour along Rockland’s Main Street before tucking into a seven-course chef’s tasting menu at the award-winning, Dutch-designed Natalie’s at Camden Harbour Inn.